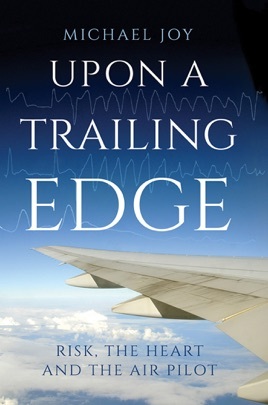 This is a story of aviation, risk and the heart of the pilot. Four out of five fatal aircraft accidents are due to human error; three out of five to pilot error. This book examines the technical aspects of these issues from the viewpoint of one of the UK's most experienced aviation cardiologists. It spans the end of the Second World War through teaching cardiology in aviation on behalf of the International Civil Aviation Organisation (ICAO) worldwide, via a history of powered flight, time in the cadet force, a flying scholarship on a Tiger Moth, training to be a doctor, later a cardiologist, and owing a series of aircraft. Michael Joy was appointed as cardiologist to the Civil Aviation Authority (CAA) in 1974 to assist the regulator in the development of standards of cardiological fitness. Error, risk and accident causation are introduced in the context of various fatal accidents. In this stimulating and highly informative autobiography, Michael looks back at his time with the ICAO and CAA, drafting cardiological standards for Europe and worldwide travel to spread the message, including the Khyber pass, an aircraft factory in the Indonesian jungle and the slave island of Goree in Senegal. Safety is no accident and history is its judge.